The Epson TM-m30 printer is an affordable and reliable point of sale printer that can be used to control a standard APG cash drawer, print customer receipts and to print orders at the bar or in the kitchen. 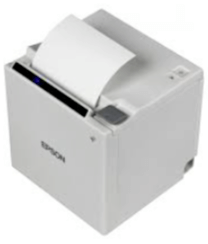 The Epson TM-m30 POS printer is a thermal printer. This means it does not use ink cartridges or ribbons. The only consumable the printer uses is approved thermal paper that is 3 and 1/8ths inches wide. Thermal paper is heat-sensitive. 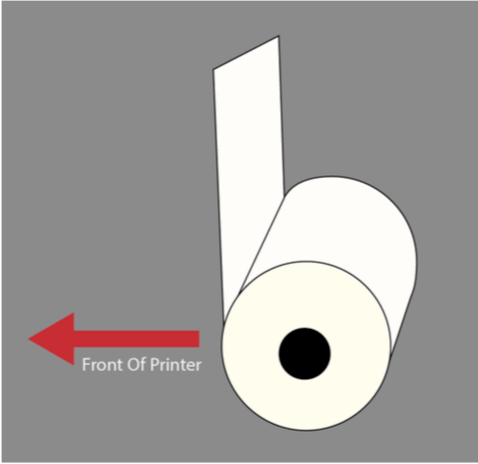 The printed information is produced when the specially treated paper is passed over the printer’s thermal head. The amount of heat that is used to activate the image is very low, so thermal printers such as the TM-m30 may not be suitable for the intense heat in some kitchens. Compared to ink ribbon impact printing, thermal printing is very fast and quiet. Only use approved compatible thermal paper rolls that are 3 and 1/8ths inches wide and no more than 230 inches long. There are three status indicator lights on the Epson TM-m30 POS printer. 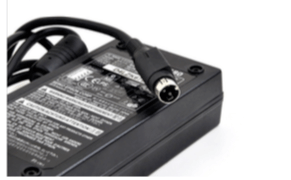 Power connector port — For approved Epson printer locking A/C adaptor. The Epson TM-m30 printer comes pre-configured by Rezku with the latest compatible firmware configuration and settings for quick “plug and play” setup. Use a ballpoint pen to hold down the SW reset switch located on the bottom of the printer. Hold the SW-Reset switch down for 5 seconds. Keep holding the SW reset switch while you turn the printer back on. It will print a small paper that says “Initialization complete”. Release the SW reset button. This completes the factory reset.